Every home has smoke detectors. Unfortunately, in most homes, those smoke detectors are worse than useless. Human error destroys the usefulness of some smoke detectors. 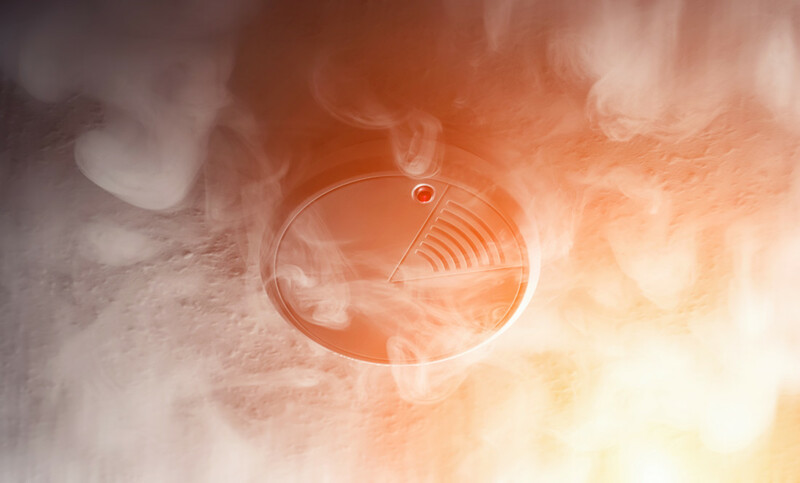 The first time the homeowner burns his steak and fills the house with smoke the standard smoke detector goes off – and nothing will convince it to quiet down until the frustrated homeowner rips it out of the wall. This is also the most common fate of smoke detectors which begin giving the “low battery” alert. Homeowners disengage the smoke detector, promising themselves they will “get the battery later.” That “later” rarely comes as the homeowner gets swamped with a list of other concerns. The second factor is homeowner absence. Smoke detectors are only useful when they can alert someone who can take action on a fire. Should a fire start when the occupants are out at work or school, the standard fire alarm will just continue to shriek until the resulting blaze melts it. The smoke detector might have been useful for warning people to get out of the home, but it doesn’t do a thing to prevent the home from burning to the ground. The solution to the first scenario is simple enough. Replacing battery operated smoke detectors with wired-in smoke/heat detectors takes the homeowner out of the equation. There’s no need to replace batteries when the smoke detectors run on the house’s electrical wiring. Smoke/heat detectors also do not sound the alarm unless they detect the sorts of high temperatures associated with a fire. That means it will not sound a false alarm and annoy the homeowner while he is struggling with a burning meal. The second problem can be solved by having monitored fire protection on the home. 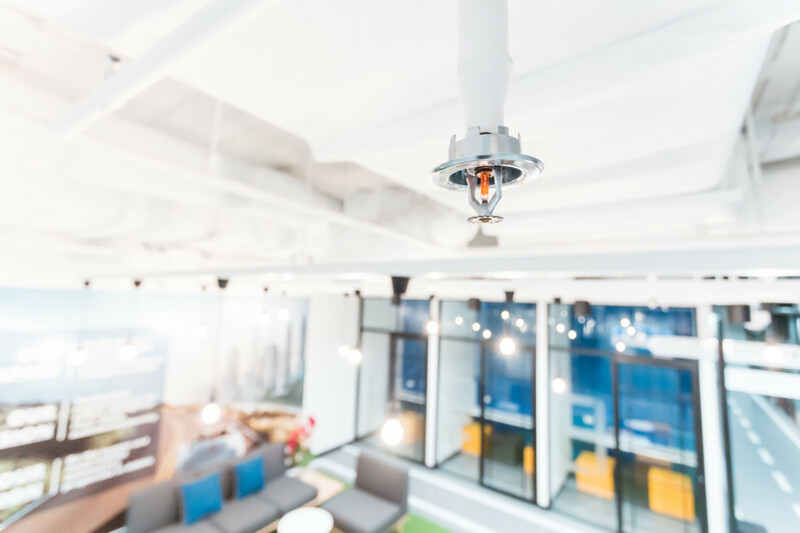 Monitored fire protection works much the same way that burglar alarms do. When the smoke and heat detector discovers signs of a fire, it makes a noise in the house while sending a signal through the phone lines. This signal then alerts a 24/7 call center who, in turn, calls the fire department. If the homeowner is home he can concentrate on getting himself and his family safe. If he’s not, the fire still gets put out. Those vital seconds can mean the difference between a damaged home and a destroyed home. It can also prove to be a literal lifesaver for beloved family pets. Monitored fire protection is usually very affordable. Most burglar alarm companies offer this service, either as a stand-alone subscription or as an add-on to monitored burglary protection. Renting a property can be a smart financial move, but to ensure a good return on your investment, you have to be proactive about safeguarding the home. This includes taking many of the regular steps you’d take for your own house, but you also have to think about the potential behaviors of your tenants, taking their safety and comfort into consideration. Consider a security alarm system. Having one might mean you charge your tenants extra in rent to cover the expense, but it provides another layer of protection, connecting the people in your property to emergency responders. Go the extra mile to secure all doors and windows. For instance, installing frame pins, dowels, deadbolts, antitheft devices, or keyed locks at the top or bottom of the entrance can make it harder for intruders to make their way into the property. Invest in good lighting, ideally with motion-sensing capabilities, to ensure the yard, parking area, and entranceways provide ample visibility and awareness of those in the area. Keep an eye on nature. Overgrown plants, including trees, can give criminals something to hide behind, and can send the message that you don’t care about or aren’t watching the property. Plants also can promote infestations of bugs, rodents, or other pests. The foliage shouldn’t block the view of windows or doors from the street. Register the property with local authorities to qualify for services such as city-based inspections. 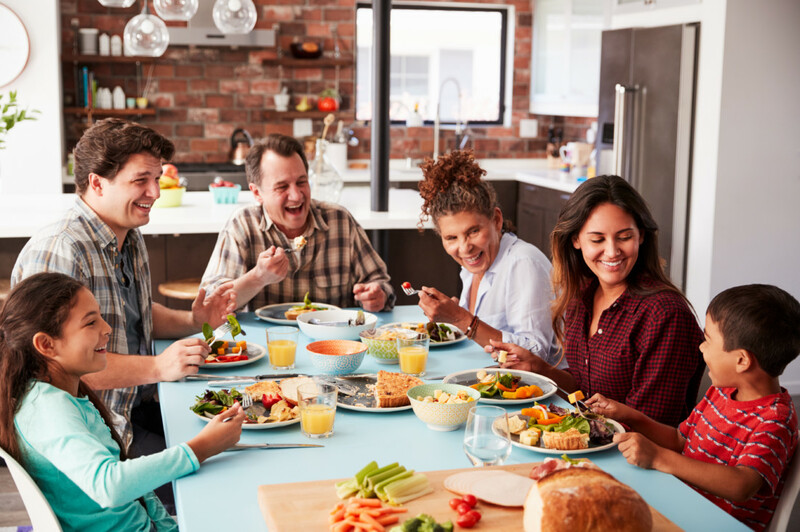 Establish good relationships with neighbors and community members so they can keep an extra set of eyes on the property for you and your tenants. Perform background checks on everyone you rent to. Be clear about the expectations and rules outlined in the lease and communicate openly. Don’t wait to clarify issues or alert tenants to violations. Completing these steps greatly reduces the liabilities associated with your rental property. Rather than rushing through each point, take the time to explore all your resources and options for superior results. First of all, you should have smoke alarm alarms and carbon monoxide (CO) detectors on every floor of your home. They can save your life and the lives of your family if a fire does break out. Make sure that you replace old batteries and that you test each alarm and detector to make sure that they work properly towards the beginning of winter. Make sure you have nothing flammable stored beside your furnace, fireplace or space heaters. In fact, there should be at least three feet of clear space all around your heating equipment. For example, if your furnace is in your basement and you’re also using your basement as storage, make sure you don’t end up surrounding the furnace with cardboard boxes full of old clothes. There’s a good chance that you only use your fireplace during the winter seasons, which means it remains unused for most of the year. Before you begin depending on it to heat your home, have a professional come inspect the fireplace. You’ll want to make sure that there’s no damage to the chimney and that any soot or debris buildup is cleaned out to prevent a potential chimney fire from occurring. A screen that sits in front of your fireplace can help to prevent sparks from your fire from flying out into your room. A single spark can end up lighting a fire. Technically, you should never leave a fireplace fire unattended – but it does happen, which is why a screen will help provide your home with extra fire protection. Space heaters are a great way to provide heat to just one room, thereby saving the cost of heating the entire home. However, you need to make sure you don’t forget to turn the space heater off when you leave the room or go to bed. There’s no way to avoid using your heating equipment during the winter – it can be dangerous to your health if it’s too cold, after all. But there are ways to prevent fires from breaking out due to the use of your heating equipment. These are five important fire safety tips that you should employ in order to heat your home safely during the winter months. Your garage door is the largest door in your home, and for many single family homes it is also the least secure. Many homeowners painstakingly lock their front doors when they return home, but they leave their garage doors open to facilitate easy entrances and exits for family members. That same ease of entry can be an open invitation to a burglar, giving them a chance to score some very valuable items without your even knowing it. Just think about the valuables you probably keep in your garage – from your toolbox and power tools to the lawn mower and leaf blower. Then look at the property with the eyes of a burglar and consider how easy it would be to make off with those valuables while you are at home going about your business. If you have just purchased a big-screen TV, you are probably in a hurry to get it mounted and start watching it.  Even so, you need to take care and protect that costly purchase from the bad guys. Many homeowners make the mistake of placing their big-screen TV boxes and other evidence of a recent buying spree out at the curb. While you do need to dispose of those boxes, you should do so in a less obvious manner. Everyone wants to live in a home where their loved ones and valuables are safe. Sadly, break-ins happen all too often. In many cases, homes are targeted by criminals due to the negligence of the owner. The silver lining of this trend is that by learning a few simple guidelines, you can improve your home security and help ensure the safety of your family and possessions. Even though this guideline may seem obvious, unlocked entryways are a leading method used by criminals to break into homes. Fortunately, this is a simple issue to overcome. Get into the practice of double-checking that all doors and windows are locked at night and before you leave the house. Criminals like to target homes that will be easy targets. They often identify these by visiting or sending an associate to visit houses in advance of the burglary. Be careful of the contractors, cleaners, and other such workers you invite into your home. Never accept help from workers you aren’t expecting. When soliciting a contractor, check references from trusted sources first. Intruders are more likely to select homes with poor upkeep. Overgrown bushes and trees can provide convenient hiding places on your property. Additionally, poor upkeep can indicate that you are currently out of town. Taking good care of your property will not only make your home look great, it will also help you keep it safe. Adding an alarm system is a great way to get some extra peace of mind. 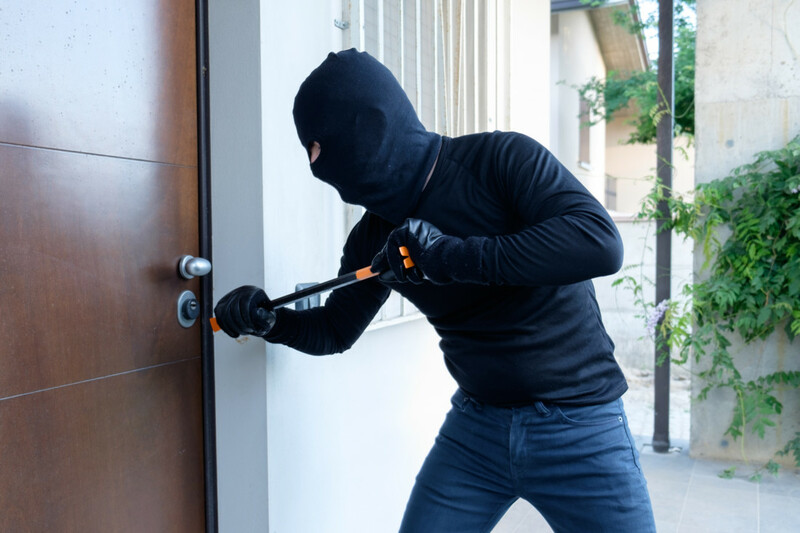 Not only will having one alert you and help you respond quickly to a break-in, but the simple presence of one will make many would-be intruders think twice. Having a security system and at least one sign indicating that your home is protected will go a long way toward keeping your house safe. These simple home security guidelines will make a huge difference in keeping your property and loves ones protected. 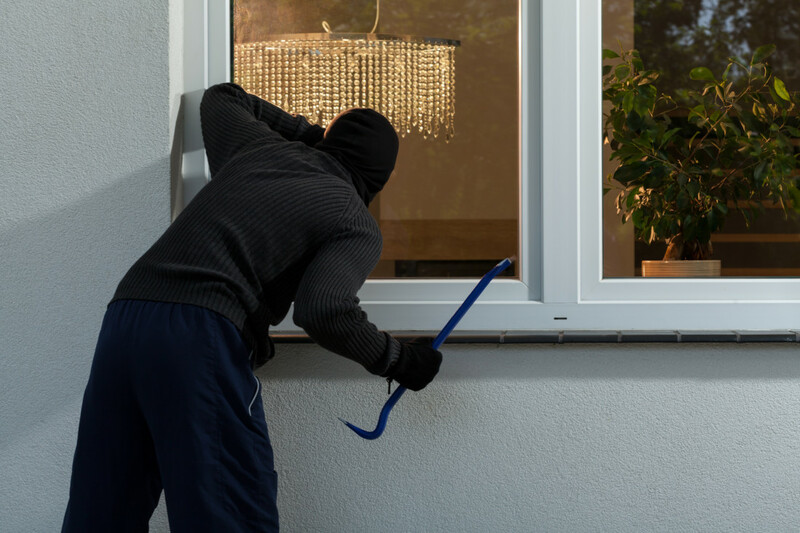 Break-ins are typically crimes of convenience, so everything you do to make your home a more challenging target will help ward off would-be intruders. You know how important it is to secure your home. You have installed a home security system and security cameras. You never leave home without first locking your doors and windows, and you take pains to make your home look lived in when you go on vacation. All those steps are good ones, but there may be some security risks you have overlooked. It is easy to overlook the simple things when securing your home, and it is easy to put your property and your family at risk. If you are doing any of the following, you could be putting yourself at risk. Oversharing on social media is perhaps the biggest security risk there is. How many times have you logged on to a friend’s Facebook page and read about their upcoming vacation or planned weekend trip? In the back of your mind, you may have wondered about the wisdom of such sharing, and you were right to be concerned. The problem with social media is you never know who is looking. Even if your Facebook page is properly secured, someone could be looking over your friend’s shoulder or reading your page without their knowledge. Criminals are very crafty, and letting them know you will be out of town is a big mistake. Feel free to share your vacation photos all you want – just wait until after you get back. Unless you are a contractor, you will probably need to hire a professional to fix things around the home. From a burned out hot water heater to a shaky back deck, there are some projects that are beyond the abilities of the average homeowner. Most of the home improvement contractors you use will be honest and trustworthy, but there are always a few bad apples out there. If you are finding your home improvement workers on Craigslist or in the parking lot at Home Depot, you could be putting your home and family at risk. You can protect yourself by hiring contractors through a service that screens applicants carefully. Ask about background checks and other safety precautions when you call, and make sure every person entering your home is properly licensed by the state you live in. Security systems have come a long way in the last few years. If it has been more than 5 years since you installed your security system, you might want to look at an upgrade. Older style security systems rely on landline telephones, and they can easily be disabled by cutting the line. Newer systems use wireless technology to protect your home, and they are much harder for thieves to foil. You can enhance any security system with a few well-placed cameras. 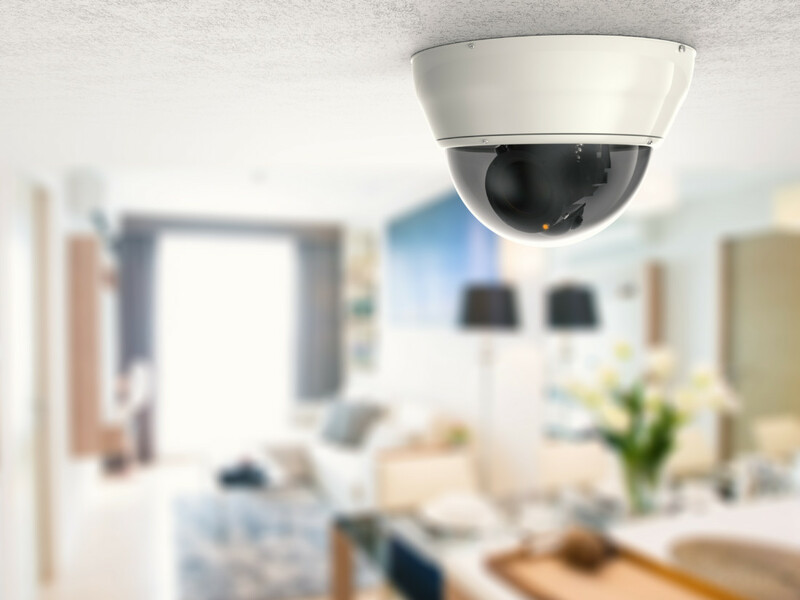 Security cameras make it easy to keep an eye on your home when you are away and notify the authorities if you see anything suspicious. The mere presence of a security camera is also a valuable deterrent; thieves often look for cameras and avoid homes where they are present. An unsecured wireless network may not give anyone physical access to your home, but a virtual security breach could be nearly as bad. If you fail to lock down your network, a hacker could take control of all your electronics and even steal your identity. The intruder could also turn on the webcam on your laptop or use the camera inside your TV or computer to spy on you and your family. If you have not already assigned a strong password to your Wi-Fi network, now is the perfect time to do it. Do not rely on the default password that came with your router; that password is easy to find for anyone with an Internet connection. You should also set up a guest connection if you often have visitors who need to use your home Wi-Fi. A guest network allows visitors to surf the web and check their email while protecting your personal information. 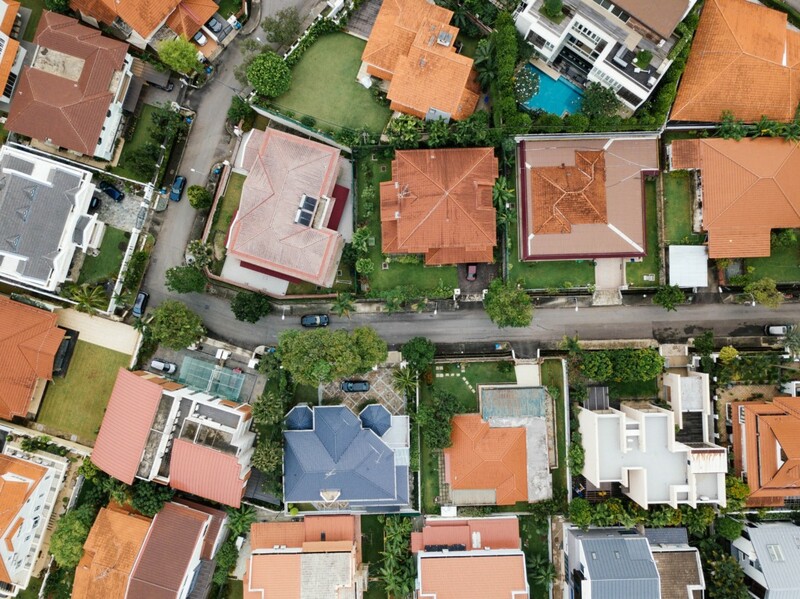 No matter who you are or where you live, chances are the roof over your head is the single biggest asset you will ever own. With so much on the line, it is important to protect your investment any way you can. 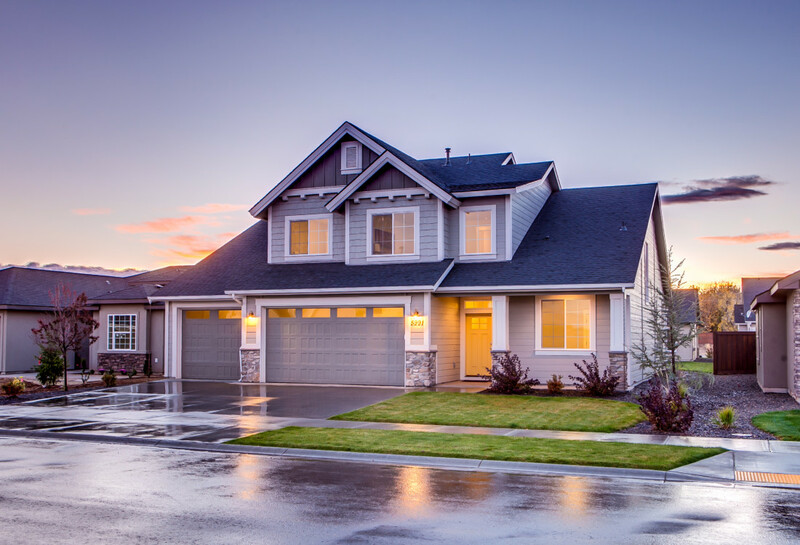 Whether you are brand new to the world of home ownership or just new to the neighborhood, it is important to evaluate the security of your new property and look for smart ways to upgrade your safety and the safety of your family. Here are a few smart security tips you can use to protect your loved ones and your investment. Research your home security options. 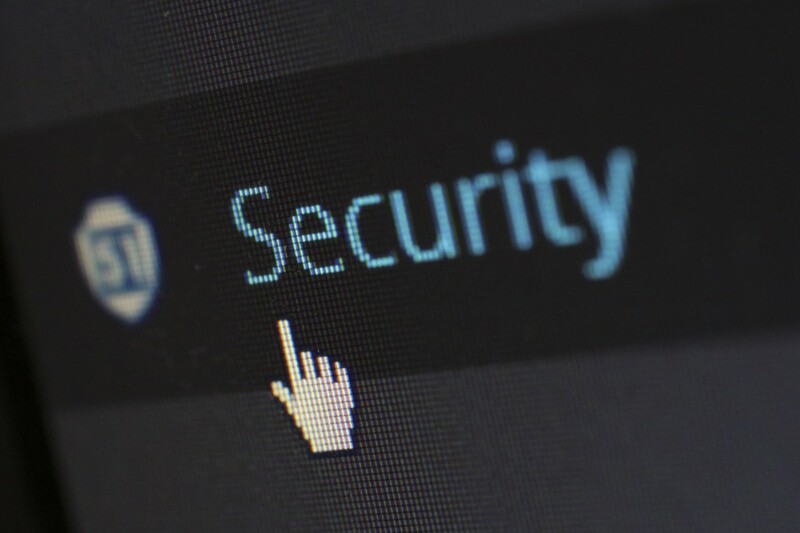 From wireless security options you can take with you when you move to wired systems, there are plenty of ways to protect your home and your family. Adding security cameras to the exterior of your home is one of the most effective ways to deter burglars. These cameras as cheap and easy to install, and their very existence could cause the bad guys to go elsewhere. Consider a dummy system if you do not have the funds or the inclination to invest in the real thing. Most burglars will not be able to tell the difference between a fake security sign and a real one or a dummy camera and the genuine article. Add exterior lighting to your home. Placing a spotlight above the front door or lights around the windows can deter burglars and make your home safer at night. Evaluate the landscaping and trim back overgrown trees and bushes. These overgrown landscaping elements can give bad guys a place to hide. Make friends with your new neighbors. In the old days neighbors watched out for one another, and you can resurrect that old tradition with a simple hello. Avoid over-sharing on social media. Avoid the temptation to brag about your upcoming vacation or discuss your weekend getaway. You never know who may be reading. Ask a trusted friend to watch your home when you do go away. Having a friend stop by during the day to take in the mail and check out the property is a great way to deter burglars and keep your home protected. Do not hide an extra key anywhere on your property. Burglars caught on to the fake rock trick a couple decades ago, and any bad guy worth his or her salt knows to check under the welcome mat. If you must stash an extra key somewhere, leave it with a trusted neighbor. Hiding an extra key on your property is just asking for trouble. 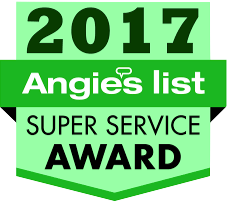 Now that you are a proud homeowner, your number one responsibility is protecting your family from danger. Looking at your property with the eyes of a burglar and seeking out new ways to protect your home is important, and now is the perfect time to get started. Home security is everyone’s responsibility, and the steps you take to secure your home could have repercussions for the safety of the entire neighborhood.